The six-year NFL veteran who spent time with the Titans and Patriots is coming off a decent season for the Titans. According to Pro Football Focus, he had an average overall grade of 58.0 but had some amazing games in 2018, including an 80.7 effort against the Colts in Week 17 and 76.8 against the Chargers in Week 7. Considering the needs of the Vikings on the offensive line, getting a solid player at an average of $5.25M per year seems like a great move. He is expected to be the team’s starting right guard entering the 2019 NFL season and the move frees up the Vikings to grab the best pass blocking interior lineman in the draft or even look for a left tackle if they truly are willing to move Riley Reiff to left guard. While there is still work to be done on the offensive line, this transaction is definitely a step in the right direction and while it likely eats up a significant portion of the team’s remaining salary cap, it was definitely the right move to make in order to keep Minnesota competitive and improve upon a glaring weakness. He started 46 games at right guard for the Titans over the past three seasons, all at right guard. Kline joined Tennessee shortly before the start of the 2016 season. 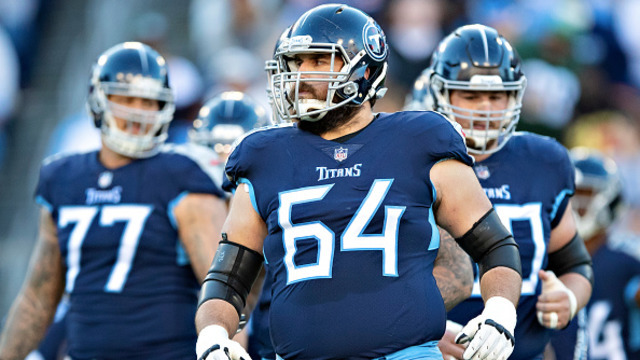 The Titans ranked in the top half of the league in rushing — and finished in the top 10 twice — in the three seasons that Kline started for Tennessee.